Do banks have their own Notary? Do They notarize documents in DC and Maryland? Do banks have their own Notary? Do They notarize documents? It is commonly believed that banks notarize documents, but we can tell you firsthand that the notary landscape is changing. Banks are constantly looking for ways to cut costs and drive efficiencies in their branches. 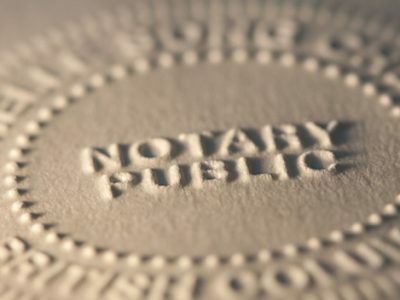 Notary services were once considered a valuable offering to current and potential customers, but it is increasingly seen as an expensive and unnecessary product. Banks would rather their employees focus on their core, profit-earning tasks: opening accounts, assisting customer transactions, and selling their products. As a result, fewer banks notarize documents. Some banks are limiting the service to existing customers or to only bank-related documents. Even if your local bank notarizes documents, it’s not necessarily convenient. If both you and the bank do business from 9 a.m. to 5 p.m., it’s on you to fit within the bank’s schedule, not the other way around. Having a traveling notary that comes to you may be a convenience that saves you time in your day. 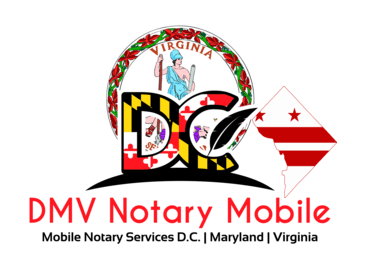 DMV Notary Mobile eliminates this hassle by allowing you to connect with a mobile notary public instantly. You can now have your notary needs met no matter your time or place. Our process takes, on average, less than five minutes to complete, and DMV Notary Mobile is available 24 hours a day, 7 days a week. Ready to get your documents notarized? Call (202) 826-8179 or email us to get started.